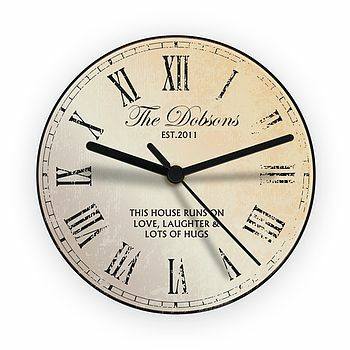 A beautiful rustic style clock personalised with your very own message. Perfect as a gift or for your own home. 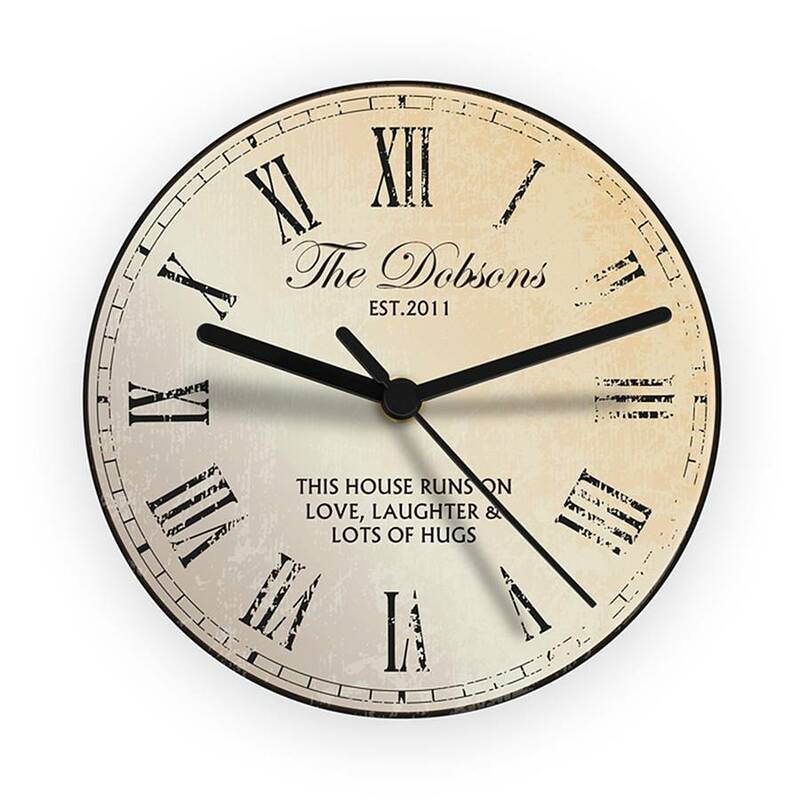 Ideal for housewarming, Birthdays or as a wedding/anniversary gift. NOTE: Due to the font type used please refrain from using all capitals on line 1 in your personalised message. If the message is all in capitals you will find the personalisation extremely difficult to understand and may even result in personalisation being missed off the product. Many thanks for your cooperation.Battery not included, requires 1 AA battery.